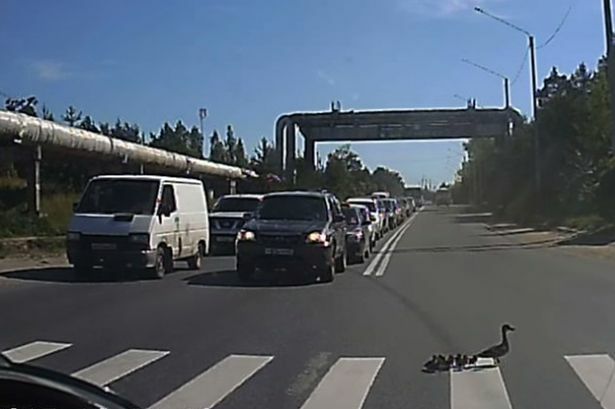 This is the adorable moment a mother duck decided to teach her babies all about road safety as they crossed over a busy dual carriageway. 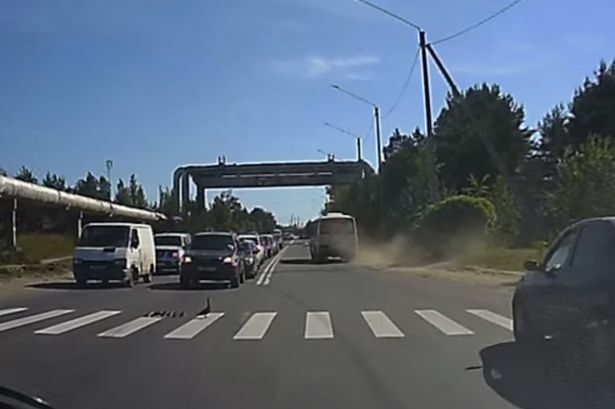 The mum and her ducklings used a zebra-crossing to navigate their way across the busy highway, ensuring that they looked both ways as they waddled across. The mother duck appears to look both ways to check for oncoming cars before continuing on her nerve-wracking journey.